Hoodlums on Thursday attacked the campaign convoy of the PDP governorship candidate in Lagos State, Mr Jimi Agbaje at Iba in Ojo, west of Lagos. A News Agency of Nigeria political correspondent reports that the convoy had just left the palace of the Oniba of Iba, Oba Goriola Oseni when it came under ferocious attack. The PDP governorship candidate had gone to the monarch to inform him of his plan to hold his campaign rally in the area later in the day before the incident. As the convoy was driving out, hoodlums, numbering about 40, chased and threw stones at Agbaje’s vehicles. Some of the hoodlums, clutching daggers and machetes, rode on motorcycles to keep pace with the speed of the convoy, throwing pebbles continually at the convoy. The rear windscreen of a bus conveying some party members was shattered. Some occupants of the bus sustained minor injuries caused by the shattered glass. The hoodlums continued to advance towards the convoy for further attacks, before security details in the convoy engaged them, firing tear gas at them. They later beat a hurried retreat when the convoy managed to escape. However, Agbaje and people in other vehicles did not sustain injuries. 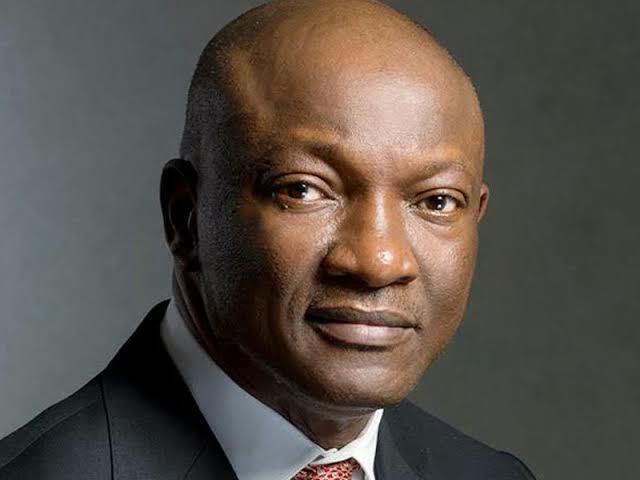 Speaking earlier at the Oniba’s palace, Agbaje said he did not believe that politics should be a do-or-die affair. He said that he had always been an advocate of peaceful politics because he believed that power should not be sought through violence. It was in demonstration of that belief that he came down from his vehicle to greet some APC members when he sighted them on his way to the palace. “I don’t believe in do-or-die politics. I have always believed in peaceful politics and that is what I practice. “Why should people kill themselves because of politics? It should not be, politics should be a platform to serve and not to cause destruction. “On my way to the palace today, I saw some APC supporters in their party vests and I came down from the vehicle to greet them. Agbaje told the monarch that he was in the palace to pay homage and seek the royal father’s blessing for his planned rally in the area as that was the right thing to do.